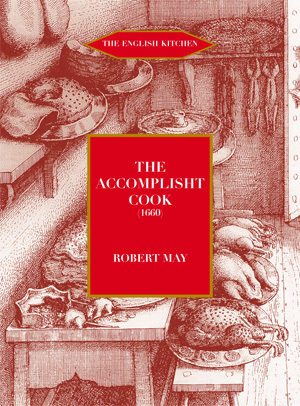 • The greatest English cookery book of the 17th century •The Accomplisht Cook was first published in 1660 and this is a facsimile of the 1685 edition. Robert May was cook to the aristocracy of Royalist England; born in the year of the Armada; trained by his own father, then by powerful patrons in Paris; before apprenticeship in London with the cook to the Star Chamber. In the course of a long life, working almost exclusively for fellow Catholics and Royalists, he absorbed all the most fashionable tendencies at large in the kitchens of England. This edition has an excellent biographical introduction by Marcus Bell, revealing new facts about Robert May’s life, a graceful foreword by Alan Davidson and a full glossary of contemporary terms. This new reprint of Prospect’s edition of 2000 is part of the series ‘The English Kitchen’ and sits alongside and in similar format to other works, ancient and modern, on the history of English cookery.